Colore Me Perfect was first developed in 2006 by Skin Perfect owner, Jaclyn Peresetsky. Jaclyn watched clients struggle to find the perfect makeup colors. She paired her art education, camouflage makeup abilities and background as an artist to develop Colore Me Perfect, a unique line of mineral makeup. In addition to our eye shadow, eyeliner, blush, powder and concealer selections, Colore Me Perfect offers custom formulas for foundation, lipsticks and lipglosses so you no longer have to waste money on the wrong color, look or feel. A proper makeup application with Skin Perfect’s exclusive Colore Me Perfect mineral cosmetics that best suits your skin type. Application is the key to a flawless complexion and understanding your skin’s texture is half the battle. 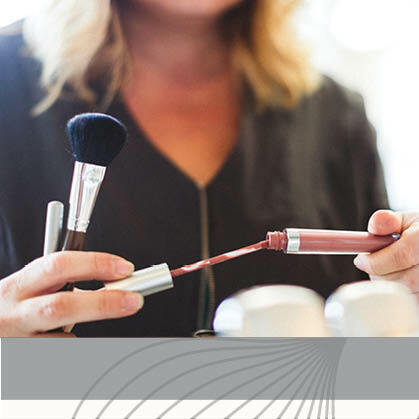 Learn how our makeup pros make it look so easy! Makeup Application is a basic application of your colors for an everyday look. To reserve party dates for you and your friends, a deposit may be required. During any bridal appointment, you will receive waterproof lip and eye makeup. 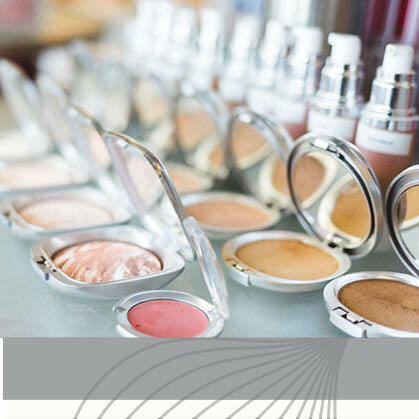 An intensive understanding of your facial features and the proper color and application of Colore Me Perfect mineral cosmetics. Multiple looks can be shown. Hands on application is demonstrated. Leave with a clear understanding of how to enhance your best features and balance your other insecurities. Contouring and highlighting are shown in this lesson. Bring your note pad and have a list of your most probing questions. 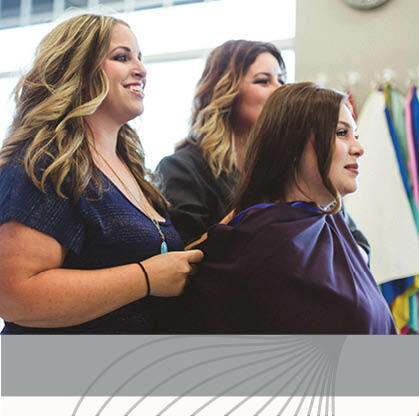 *All lessons are with one of our color expert artists. Makeup Lesson is an educational demonstration on how to apply your look for day and evening time. To reserve party dates, a deposit may be required. Not sure what colors look best on you? Consider a virtual or in-spa Colore Me Perfect Color Analysis. Our color analysis uses a patent pending hand board system to identify the wide variety of tones, textures and pigments found in your natural skin color. Once defined, we can share with you the perfect palette of color. Our modernized Color Analysis service is a personalized gift that quite literally lasts forever! Color is the first thing that people notice so it’s important to know which colors make you look your best. You will look polished and authentically influential simply by wearing your best colors on your face and body. Our brand new 12 Step Seasonal Analysis System identifies the colors that perfectly harmonize with your skin tone. During the analysis, you will be draped with fabric swatches while a specially trained color analysis expert conducts the assessment. After your Seasonal Tone is discovered, a Makeup Artist will apply makeup in your color palette so you can see and experience your transformation right before your eyes. A personalized Seasonal Tone Bio Sheet so you can further understand your personal coloring, makeup colors, and application techniques. A color swatch “passport” of your color palette to keep in your purse and refer to when making hair color, makeup and clothing decisions and to assess your current wardrobe. Bring in your friends and have a blast learning which colors make each of you look your best. 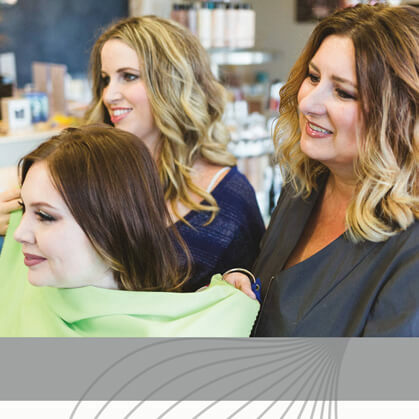 Just like our individual sessions, our specially trained color analysis experts will identify the colors that perfectly harmonize with your skin tone and then apply makeup in your color palette. An analysis and identification of a person’s natural skin stone and determination of the best colors that are in perfect harmony with their tone. This includes clothing and hair recommendation, as well as a take home swatch booklet complete with all of their respective colors. This is truly a life changing experience! Your appointment will include both the bridal white analysis and your seasonal tone analysis. On your wedding day, you will look and feel your best through our in depth analysis of your skin tone. You will know you have surrounded yourself with the perfect colors for your important day. Following your color analysis, you will be given a makeup lesson/application by our Skin Perfect makeup artist teaching you the best makeup colors for your skin tone. Our recommended color palettes that will reflect your best shade of white for your wedding gown. Your seasonal swatch booklet you will receive at the time of your appointment will showcase your best clothing, makeup, hair, and nail color. Have you ever had trouble finding the right foundation color to match you skin? That is what Color Coding defines for you. Color Coding differs from Color Analysis because it identifies your specific undertone to determine your best makeup foundation which will simply give you a “Color Code” that we can keep on file and use to purchase Colore Me Perfect mineral cosmetics. However, the seasonal color analysis focuses on your overall best color for makeup, hair, and clothing and is a lengthy process. Color Coding is our proprietary skin tone analysis system that identifies the dominate hue in an individual’s skin in a matter of minutes. Knowing this information ensures that money is never again wasted on the wrong makeup color and your face color seamlessly integrates with your neck color. 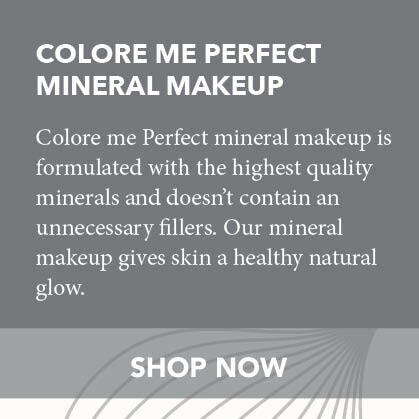 Your investment goes toward any purchase of Colore Me Perfect mineral cosmetics.